Some might call it perfection while others just think it’s really cool, but no matter how you define a disc golf ace, there’s always something special in the air when it happens. 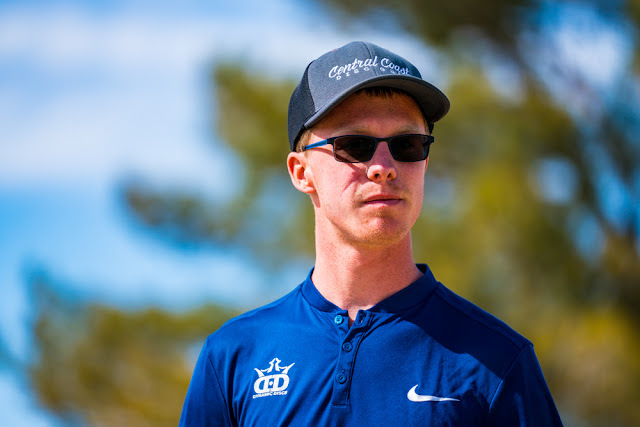 For some, our aces happen at almost inopportune times, while others find that even if nothing incredibly crazy or amazing occurs, simply that feeling of your disc hitting chains is enough to make your day. “I was at Whistler’s Bend near Roseburg, OR for a doubles event last week. Before our morning round on Saturday, I warmed up slowly. I like to loosen up before I throw any shots. I step up to hole one, a 250 foot fairly wide open shot and throw my Retro Anchor. It tracks to the basket and hits the pole low. Next, I step up with my sparkle glow EMac Truth and hit dead center. It smashes the chains and the pole ejects it onto the ground. “I have had plenty of memorable aces, but one, in particular, seems to stand out above the rest. In the summer of 2014, Bobby Brown and I traveled to Skellefteå, Sweden for some promotional videos. While there we participated in a tournament called The 81 Hole Challenge. That’s right - 81 holes in one day! This seems impossible to accomplish, but with 20 hours a day of sunlight, anything’s possible! Do you have a crazy ace story? Share it with us in the comments below! First ace happened on a 209ft blind shot, cant forget that day when i stepped up threw a tomahawk over the trees in front of me and then hearing those chains thinking did it go in. ran to the basket only to find my felon in the basket was super siked. 2nd ace this year was 183ft straight forward on a league night, the shot is off a top of a little mound into a valley then u got woods where the basket is. my nerves were on a little edge knowing theres people watching but regardless just me and the basket im gonna hit chains with my harp. Before i knew it I let the disc fly, see it tracking and nail the heart of the basket, I know it wasnt very far but theres nothing like hitting an ace.